Change things up with these side-trips from Noosa: Artworks in Clay by Anne Gentry-Smith (in Montville), Maleny Botanic Gardens & Bird World (in Maleny) and Mooloolaba (Scuba & Snorkeling, Mooloolaba Beach, & more). 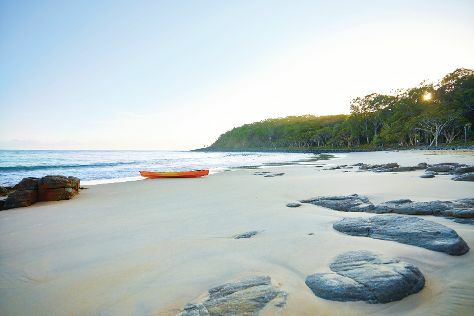 Spend the 18th (Mon) exploring nature at Noosa National Park. There's still lots to do: enjoy the sand and surf at Noosa Main Beach, tour the pleasant surroundings at Kings Beach, get to know the resident critters at Australia Zoo, and browse the eclectic array of goods at The Original Eumundi Markets. For more things to do, reviews, ratings, and more tourist information, use the Noosa online tour itinerary planner . Finish your sightseeing early on the 22nd (Fri) so you can travel back home.